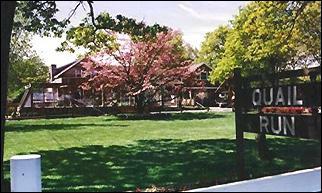 Quail Run Kennels, located in Medford, Long Island, New York, is the premiere boarding kennel for your dog or cat. It is situated on 2 1/2 shaded acres and has been family owned and operated since 1973. If you have never boarded your pet with us before, we would like to take this opportunity to introduce you to our boarding and training facility. It is our intention to supply your pet with the best possible care available in any commercial kennel. We employ qualified, knowledgeable, and caring people, who understand that your pets are dependent upon us for their care. What we cannot do is take your place. No one can do that, but we will do our best to make your pet feel as comfortable as possible and make their stay with us enjoyable. Inspection of our boarding kennel is welcome anytime during regular business hours, without an appointment. We are the only boarding kennel that allows your dog 24 hour access to his own outdoor run. safe dog boarding kennel run by professional dog handlers. We board cats, too! Dog Training by retired police canine officer.